You will learn here how to purchase a domain from us and how to map it to your site. 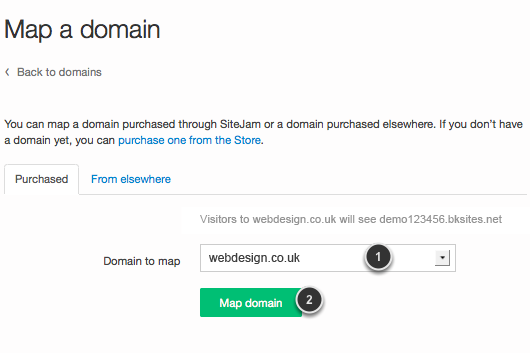 NOTE: If you already bought your domain you can skip to the step 6 on this tutorial. 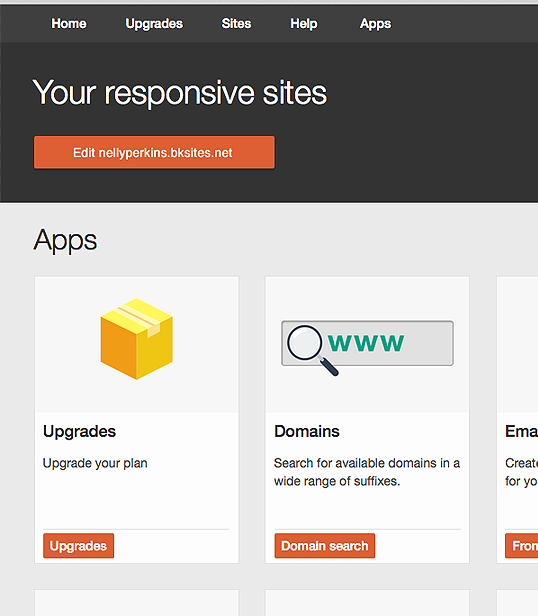 Click on Apps at the top of your editor and then click on the Domain Search button. 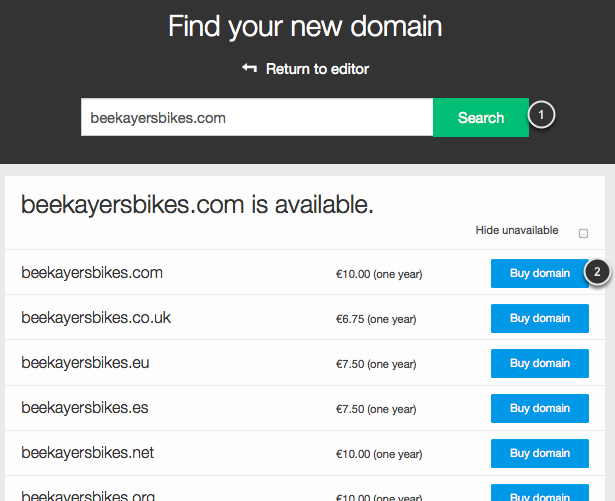 Type the domain you want to purchase. If you have one free domain with your account, below the search box you will be able to read "One free domain available"
Click on Search (1) and you'll be able to see if the domain name is available along with another domain suggestions. Click on Buy domain (2) to purchase your domain name. 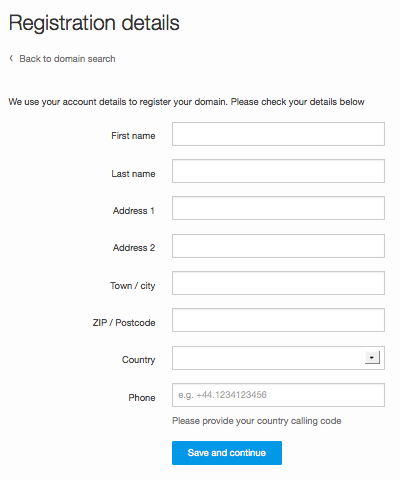 You will need to fill a registration form to register the domain on your name. When you finish just click on Save and continue. You can choose now your payment method (1). If you happen to have a discount code you can introduce it here (2), and if not just leave the text box blank. 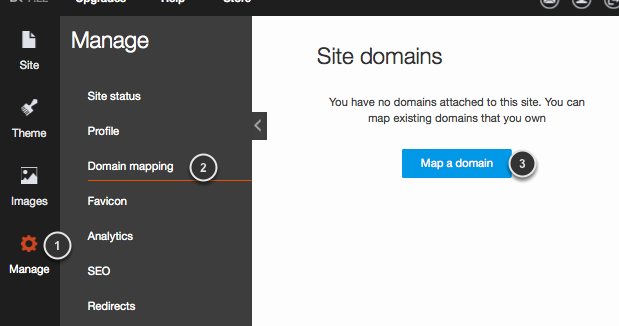 Select the domain you just bought in the drop-down menu (1) and then click on Map domain (2).